NatureWatch NZ is a citizen science website for recording New Zealand’s biodiversity. Many tens of observations are added each day, covering all kinds of life. 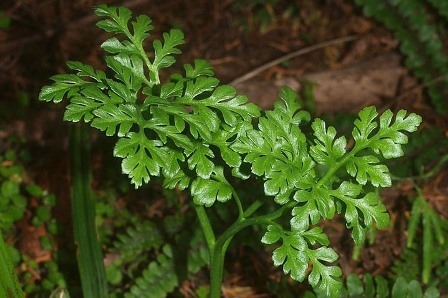 I get a daily email from NatureWatch NZ listing the New Zealand observations of ferns added that day. This is an easy way to check for observations that are relevant to my research and/or that I can help identify. are tracking pests like mustelids or the Mediterranean fanworm, or weeds like old man’s beard. or just love seeing slime moulds! Fortunately, a more targeted approach is possible (think GCSB). First, log in (or sign up with a username and password). Once logged in, click on “Dashboard” in the upper right corner. In your Dashboard, scroll down to “Your subscriptions” (on the right hand side of the page), and select “Add a place subscription”. Select the geographic area (e.g., New Zealand) and group of organisms you’re interested in – the “Place” and “Taxon” – and save. Your Place of interest doesn’t have to be a country – it can be a region (e.g., Northland) or some other area already defined in NatureWatch. Your Taxon of interest may be a species, genus, family, or even a phylum. Rather than a place subscription, you can instead make a taxon subscription. However, this will return all observations made from that taxon from around the world. Then repeat for as many places and taxa you’re interested in. Subscribing to particular sets of NatureWatch observations is an efficient way to find the observations relevant to you, be it for research, biosecurity, knowledge-sharing, or interest!